Visit the temple or call us to learn more about the religious services we provide to the public. People born under different Lunar zodiacs will have a distinct year marked by the Lunar new year. 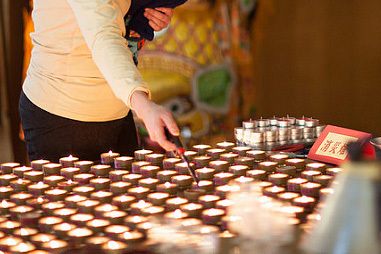 To get rid of bad luck or increase good health, you can light a lamp at the beginning of the Lunar new year. 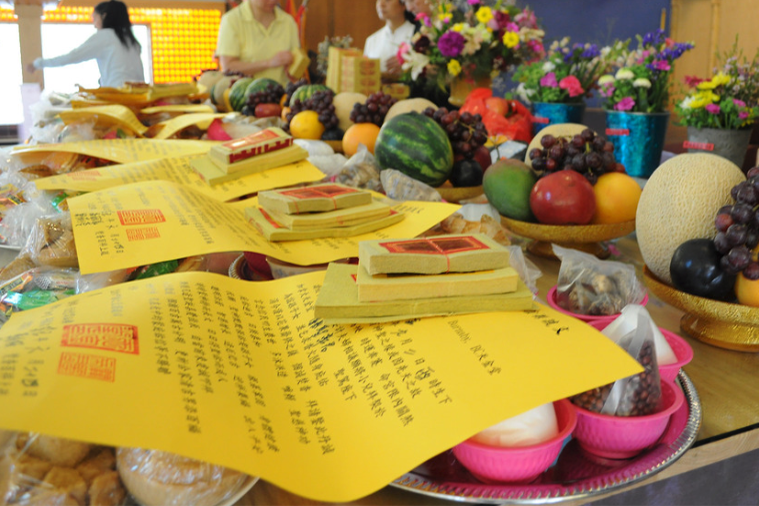 On the first and fifteenth of the lunar month, as well as during deity birthdays, we provide offerings of flowers, cakes, snacks, candles, and more. We welcome monetary gifts to support these regular offerings. 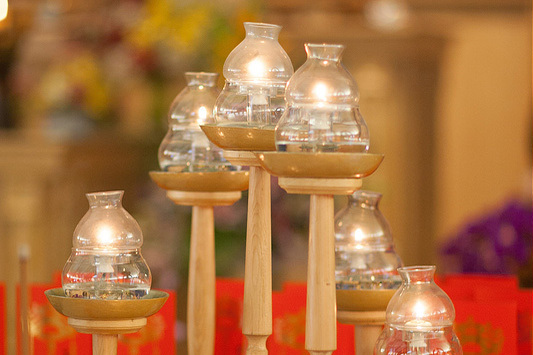 Lighting lamps at the temple can increase longevity, improve financial stability, get rid of bad luck, encourage scholarly accomplishments, and restore good health. 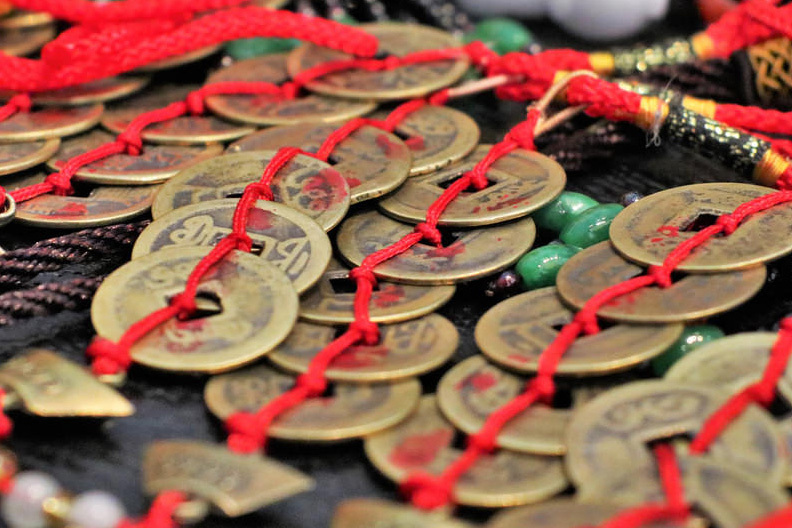 In Taoist culture, each individual is believed to be born with a treasury, or invisible bank, filled due to good deeds or subtracted from due to past sins in a previous life. The temple offers ceremonies to replenish or activate these treasuries. 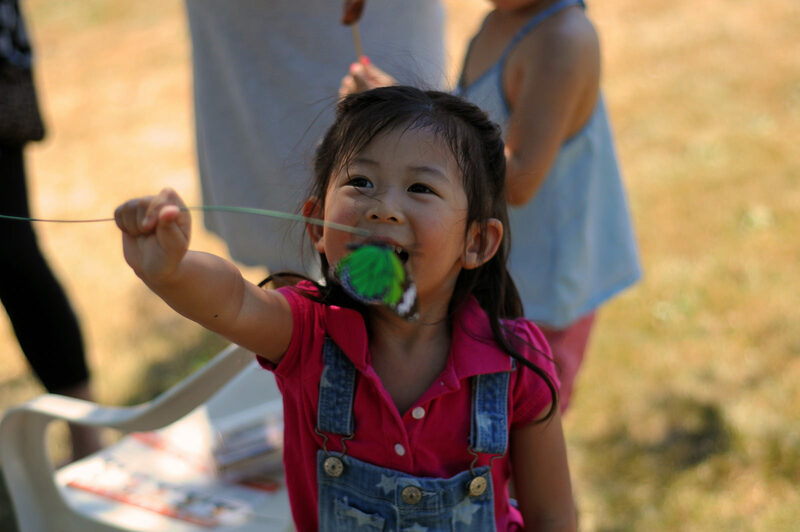 In Chinese culture, it is common for parents to ask for a deity to watch over their children and bless them with good health and success in life. 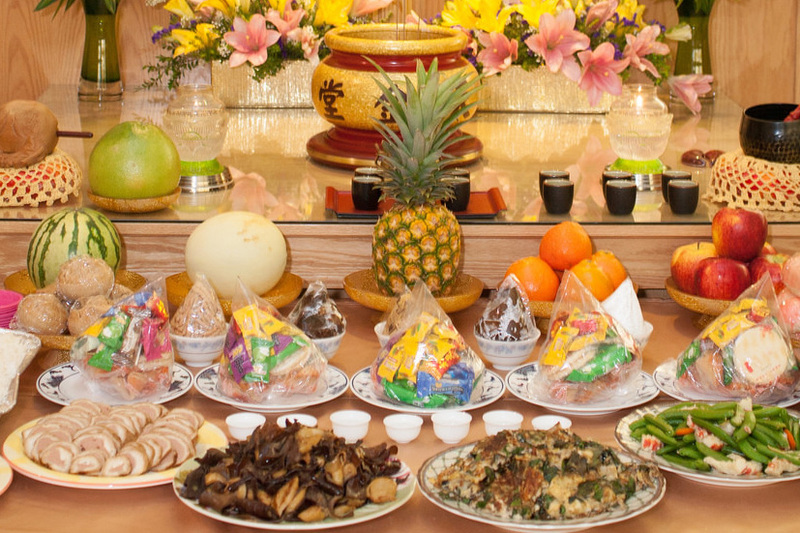 These ceremonies are held each month at the temple depending on the number of registered children. It is a significant time for a child to turn one year old in the Chinese culture. To predict a child's future careers, various items are placed in front of the baby - the first item they choose may represent their future interest. 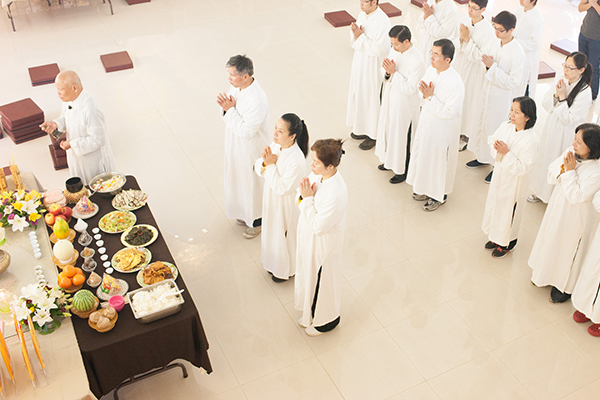 On the first and fifteenth day of each lunar month, at 9 am, temple guests are invited to participate in religious chanting and pay respects to the deities. 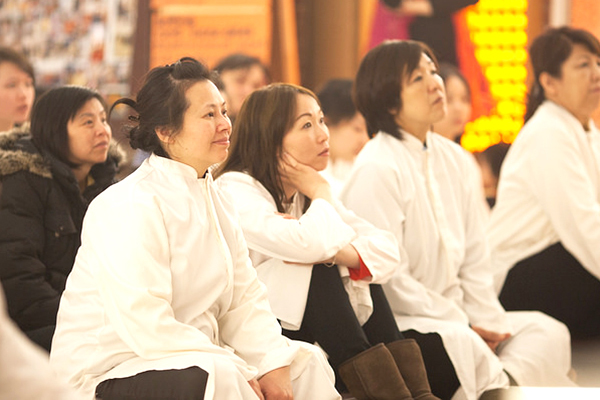 On Monday, Friday, and Saturday, guests are invited to join us for chanting, meditation, or sharing reflective thoughts, respectively. Starting at 8 pm on all three days, guests can receive light counselling from the Master and receive religious cleansing.